Shimanto River is said to be the clearest river in Japan. 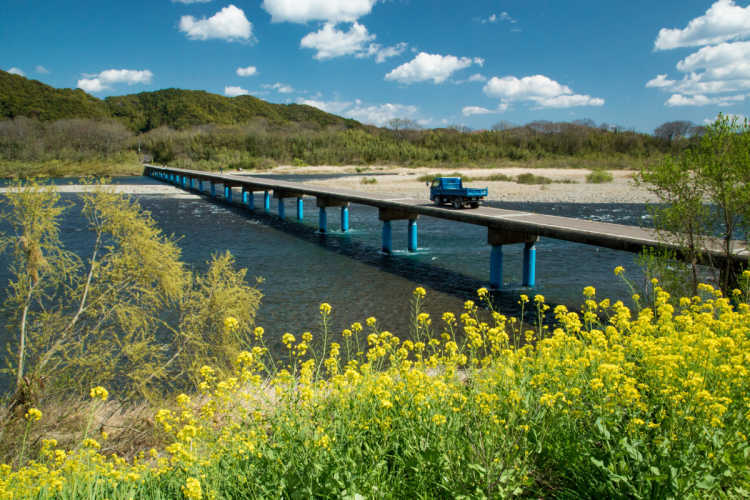 There're some subsiding bridges, such as Sata Bridge, that sink in the water when the river goes up. You can walk on the bridge, and also cross it by car! Shimanto River is so clear!◎You can access by also trolley bus from Nakamura Station.